Jones was one of 35 leading contemporary artists commissioned to design a poster to promote the 1972 Olympic Games in 1970. 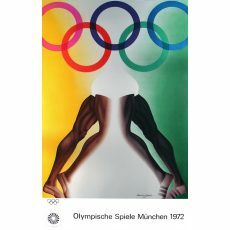 This Olympic poster exhibits Allen’s Pop Art influences and echoes the tangled bodies he used in paintings such as 1963’s Hermaphrodite. Born in Southampton in 1937, Jones would go on to study at Hornsey College of Art from 1955 to 1959 and then for two years at the Royal College of Art. After his education he pursued teaching art and for three decades taught in many locations around the world. His work has been viewed and appreciated in many countries and continents including Britian, North and South America, Europe, Japan, China and Australia over the past 40 years. He wears many hats as an artist; painter, printmaker, sculptor and set designer. 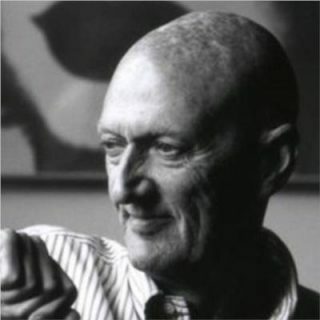 Allen Jones was elected Royal Academician in 1968 in the category of printmaking. His work now lives in some of the worlds most respected art institutes; Victoria and Albert Museum, the Tate Gallery, The National Portrait Gallery, the Chicago Museum of Art, The Arts Council of Northern Ireland, The Walker Art Gallery, Liverpool, Musée Royaux des Beaux-Arts, Brussels, Museum of 20th Century Art, Vienna, Austria and Nagoake Museum, Japan.